While jumping genes may seem to hop pell-mell through the genomes of host cells, potentially triggering transcriptional and mutational surprises, they betray at least one kind of regularity—the rate at which they leap to and fro. This rate does not fluctuate at random. Rather, it seems to depend on the host cell’s growth and environmental factors. This result emerged from studies conducted at the University of Illinois at Urbana–Champaign, where scientists were dissatisfied with existing methods for studying jumping genes, or transposable elements (TEs). Rather than rely on these methods, which are bulk techniques that average results from multiple cells, the scientists developed a fluorescent protein–based reporting system that allowed them to focus on individual cells. That way, instead of having to make do with time and cell ensemble averages, the researchers could capture cell-to-cell variation and temporal variability in individual cells. In short, the scientists found a way to observe jumping genes in action directly, in real time. The scientists, who were led by physics professors Thomas Kuhlman and Nigel Goldenfeld, published their findings June 13 in the Proceedings of the National Academy of Sciences, in an article entitled, “Real-Time Transposable Element Activity in Individual Live Cells.” The article detailed how the use of a simple plasmid-borne TE allowed the scientists to observe surprisingly rich jumping-gene activity. 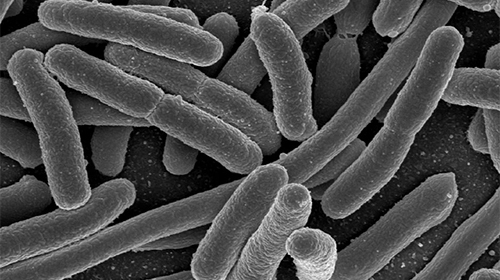 To observe individual TE events in living cells, the scientists devised a synthetic biological system based on the bacterium Escherichia coli. The scientists coupled the expression of fluorescent reporters—genes that encode (in this case, blue and yellow) fluorescent proteins—to the jumping activity of the transposons. The scientists could then visually record the transposon activity using fluorescent microscopy. To read the full contents of this article click here.